Jack Ma who is known as Ma Yun in his Chinese name, is one of the richest men in China and he is the founder and CEO of Alibaba, which is one of the largest internet conglomerates of internet-based businesses. He is the first Chinese to be featured on the cover of Forbes magazine and was ranked second in Fortune’s “World’s 50 Greatest Leaders” 2017 list. Besides being a remarkable entrepreneur and visionary, Jack also serves as an inspiration and role model for many in the business world. He is famous for his speeches and lectures deliver across the world to enlighten and share his advice. And in this article, you will learn the top 10 success principles from the Chinese billionaire Jack Ma. One of the very important success factors according to Jack is that you must embrace rejection and get used to it. Jack started off as an ordinary guy without any connection to rich parents, relatives or neighbors, and he did not receive any money from the local government in his startup. He said that when Kentucky Fried Chicken first entered the Chinese market, he applied for a job there along with 23 other applicants. At the end, out of the 24 applicants, 23 of them got accepted and he was the only one that was rejected by KFC. And being someone who loves to share and talk about his knowledge, Jack has also applied to enter Harvard University for ten times. And again, he was rejected by Harvard and he said that these experiences have made him used to be rejected. Rejection is very common in the business world, especially when it comes to living a successful life. In fact, rejection does not only happen to the Chinese billionaire, it happens to every high achiever such as the author of Harry Potter, JK Rowling, Steve Jobs, Elon Musk, and even basketball superstar Michael Jordan. Jordan was rejected by his high school basketball team, but despite the rejection, he did not give up on his dream and continue to work hard for it. Thus, if you want to be a successful entrepreneur, learn to embrace rejections. Another great success lesson one can learn from Jack Ma is to always keep your dream alive. He once told an interviewer that his wife told him that he did not belong to her. His wife said that Jack actually belongs to Alibaba. This is because almost every moment, Jack cannot get himself to think about other stuff besides growing Alibaba. Jack admitted this and said that he constantly thinks about Alibaba, talk about it, sleep with it, breath it, and about it at every moment. He is so obsessed with his work and his dream, and that is why he is successful. Jack advises everyone who wants to be a successful entrepreneur must always keep their dreams alive. They must think about it, talk about it, and work on it every single day. The same goes for every other successful entrepreneur such as Steve Jobs. When he was growing Apple and acquired Pixar, he started his work as early as 7am, and by the time he reached home, it was almost midnight. Steve Jobs was so passionate and obsessed with his work that he dedicated almost all his life to it. You must keep your dream alive if you want to produce amazing results in life. Whatever you do, you must ignore the naysayers who are trying to bring you down or telling you that things are impossible. In your journey to achieving the success you desire, you will face a lot of naysayers and you must learn how to handle them. The best way is to ignore them and focus on your dreams. When Jack Ma first introduced Alipay or commonly known as Zhifubao in Chinese, many people rejected the idea. Alipay is a third-party mobile and online payment platform such as PayPal. People told Jack that Alipay is not going to work and it is a stupid idea. Today, Alipay has overtaken PayPal as the world’s largest mobile payment platform and China has quickly become a country with paperless money transaction. Almost everyone in China is using mobile payment in their everyday life with Alipay serves as the biggest platform. There will be people telling you that your work or your dream is not going to be possible, but you should not let them steal your dream away. Many people thought that electric cars and colonizing Mars are not possible and whoever has this dream is crazy. Elon Musk proved otherwise. Tesla is now the biggest electric car manufacturer aiming to make its car affordable and available for everyone around the world. Jack Ma says that one of his company’s core competencies is culture and not technology. He believes that technology and internet are just the tools and platforms, and anyone can leverage on technology to come up with something better. And thus, Jack focuses a lot on building an amazing culture in his company. 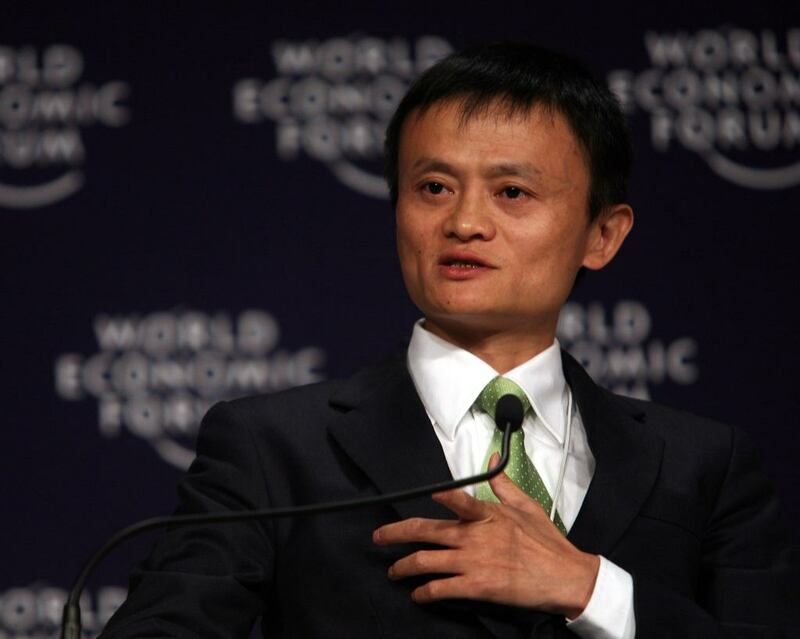 The Alibaba Group has thousands of employees and it is the values and visions that bring everyone together. This is why Jack Ma said that culture is important to his success. When it comes to building a successful business, the first thing that comes to most people’s mind is profit. While it is true that a company cannot survive without making any money, but without a good and nurturing culture, a company cannot thrive for the long-term too. According to Jack, Alibaba is not just about making money, but rather, it is about developing its people and growing together. Why do you think big companies such as Google, Facebook, and many others are trying to build a great working environment for their employees? This is because when the organization’s environment and culture are encouraging, the people who live in them will experience higher growth rate and ability to perform better at work. Jack Ma said that he loves movies and he learned a lot from watching movies. His favorite movie titles are such as The Bodyguard starred by Whitney Houston and Forest Gump starred by Tom Hanks. He once told the audience in an interview that he learned the most from Forrest Gump. It is alright that people may call you stupid or crazy, just like in the movie, you just need to be yourself and do what you think is the right thing to do. This is why he went on and started businesses, pursuing his dreams and become a successful entrepreneur. This is a business success principle that everyone who wants to build a great business must learn. Jack Ma said your company and business’ name is important because if you want to be famous, you must choose a good name. He chose Alibaba not out of coincidence, but instead, when he wanted to register his business name, he went around and asked people if they have heard about Alibaba. To his surprise, most people heard about the name Alibaba and they know about ‘open sesame’. Plus, Alibaba actually starts with the alphabet A, which means it will always be the first. And this is why he decided to go with the name Alibaba. Take a look at all the highly successful business names today. You will discover that there is a story behind every name. Amazon was named so because of its founder, Jeff Bezos wanted it to be the largest bookstore in the world. The name represented the river, Amazon, which is the biggest river in the world. Furthermore, Amazon starts with “A”, which means it can rank higher in the search engine during the old days. When you emphasize and dedicate your effort and time to choosing a good business name, it simply shows that you are committed and are serious about your business. Someone who is not serious about his business will never spend time thinking about a good name because they don’t believe that it can become an international brand. Jack believes that in order to build a successful business, you must stay focused on your primary goal. You must concentrate all your effort to build, grow and do what your business is meant to do. When you lose your focus, you will spread your attention and this is when you will fail. During an interview, Jack said that he valued his customers more than his shareholders. He will rank his customers as number one and the most important component of his company, and the second will be his employees, and then followed by the shareholders. Jack believes that shareholders will come and go. And the only way to make sure that the shareholders are making money is to make customers the priority. When customers buy from you, your business is profitable and then shareholders will be happy. Jack often told his teams that the customers are the ones that pay them the money, and he encourages his team to make their customers their priority. If you want to be successful in everything that you do, you must stop complaining or playing the blame game. A lot of people complain about many things in their lives. They said that their boss is not good enough, they complain about their spouses, and they blame the economy for their lousy results. Jack Ma said that when you complain, you will miss out the opportunity because you are blinded by the complaint. Napoleon Hill, the best-selling author of “Think and Grow Rich”, wrote in his book, “Every adversity, every failure, every heartache carries with it the seed of an equal or greater benefit.” Jack totally agrees with this statement. He said that rather than complaining blindly, look for the opportunities within the problems. Where there are problems, there will be opportunities. In 1999, Jack Ma presented his idea of starting Alibaba to 17 of his friends in his small apartment. During that time, nobody knows if the idea is going to work out, but those who decided to go for the opportunity believe in one thing, and it was Jack Ma’s passion. Passion is one of the most important keys that will determine your success. When you are passionate, you will continue to work and strive forward even when things are tough or even if you fail. Most people give up because they do not have the passion to persevere. They don’t like doing it so why do they want to persist when things are tough and are not going in their direction, right? Steve Jobs said it well, “Your work is going to fill a large part of your life, and the only way to be truly satisfied is to do what you believe is great work. And the only way to do great work is to love what you do.” And to love what you do, you must be and have a strong passion for it. I would like to thank you for all your inspiring messages. They have helped me a lot.